The unit opened in May 2009. We meet during term time on Tuesdays at St Pauls Church, Mill Road. We run our programme in line with Girlguiding policy, practice and guidance. We usually have between 25 and 30 girls, and we try not to operate a waiting list, unless girls are too young to be a member. We review our termly fee every year to ensure we are offering a good value for money and getting the most out of our fees. We also make sure that the termly fee covers all of our outgoings for rent, activities and the annual membership subscription to Girlguiding. Currently we charge £30 per term (3 times a year) plus a £15 joining fee. 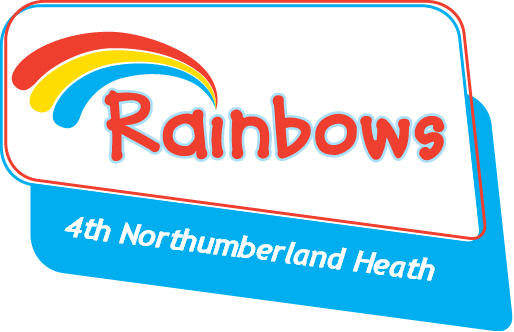 As a uniformed youth organisation, we have a uniform that we ask all girls to wear at Rainbows. The uniform consists of a Polo Shirt and tracksuit top and bottoms. This can be purchased Thursdays during term time from the Scout shop opposite China GaGa (Mayplace Road West). This is probably our favourite part of the Rainbow programme, offering the unusual, the unique, but the most adventurous opportunities for the girls. As a unit we go out and about several times a year and try to hold two sleepover opportunities a year as well. These opportunities, usually have a cost to them, but you will be able to see this in advance via the termly consent form. These opportunities are most important as they really enable a girl to develop, learn lots of new skills and experience the world. We hope that every girl will have the chance to attend a sleepover during their time with us so they can learn new skills while having lots of fun!! Find out more about our Leaders here.